Going on a picnic. A Reading Comprehension. 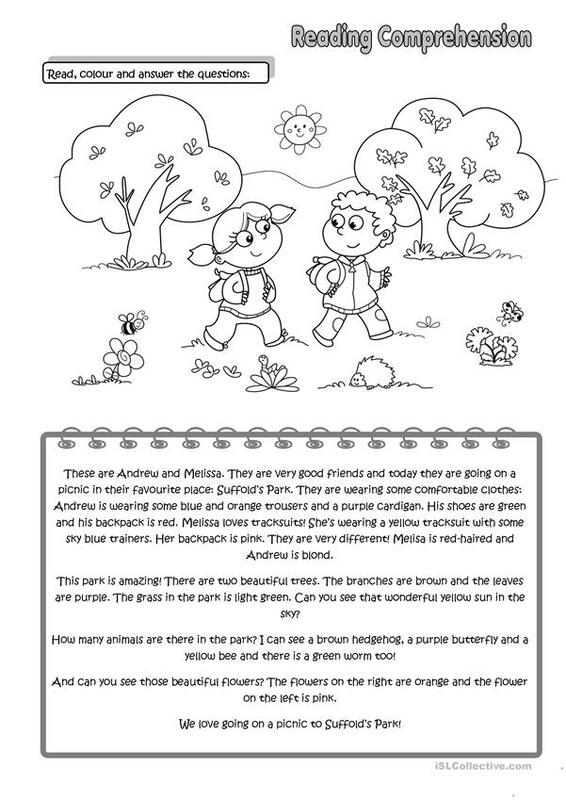 An easy text for beginners with a picture to colour. Students read the text and colour it following the instructions. There are more reading comprehension activities. The present downloadable printable is a great resource for high school students and elementary school students at Beginner (pre-A1) and Elementary (A1) level. It is excellent for strengthening your groups' Reading skills. It features the vocabulary topic of Colours.